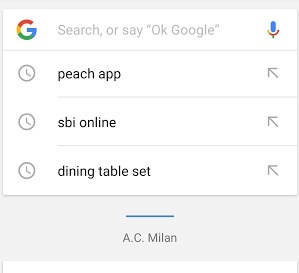 Home > Software Tutorials > How to remove a single search query from Google Now App (Android)? Google is now inseparable from our life and there is no second thought. From your grandma to your little grandchild, every one is slowly embracing Google to search and get answers online. However in this process, we often leave behind the marks of what we are actually searching. Suppose you are searching for some serial killer novel but you don’t want your child to find out that his/her parent was looking for such a book, then you need to delete the search entry fr Google app itself. 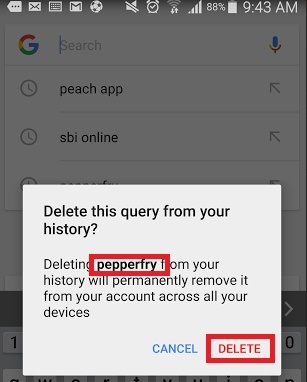 This tutorial is meant for Android users by which they can remove a single search entry from the Suggestions. 1. Open the Google Now App or simple the Google app from your Android Phone. 2. Now long press on the particular search entry previously entered by you. 3. The long press will pop up a dialogue box asking you if you wish to delete this entry. 4. Tap on delete to remove the entry.